Owning and operating a business in the legal cannabis industry is fraught with convoluted regulations that can confuse even the most adept businesspeople. Since the cannabusiness is still learning how to stand confidently on its own two feet, there has been a rise in marijuana accounting jobs and other consulting careers to help business owners navigate the legislative minefield. Especially when it comes to money, the marijuana industry is faced with significant roadblocks. Cannabis distribution is carried out primarily through cash based sales. Although there are some exceptions, most banks refuse to grant bank accounts until cannabis is legal on a federal level. This is where many of the industry’s roadblocks stem from–marijuana legalization is facilitated at a state level, but doesn’t affect change federal regulations and is thus between a rock and a hard place of the legal/illegal. The U.S. government doesn’t explicitly prohibit banks from forming cannabusiness partnerships, however, the banks are required to file a Marijuana Limited SAR that promises that all revenue comes only from the legal state in which cannabis is sold. If banks knowingly (or unknowingly) work with businesses that break any federal laws, the banks are put at risk of severe punishment, including prosecution. While recent years have demonstrated a more hands-off approach from the federal government toward state marijuana legalization, bipartisan gridlock has kept cultural reform from sweeping the entire country. When considering the interaction between marijuana accounting jobs and legality, a clear trend has appeared in the time since broader recreational legalization. Washington, Oregon, Maryland, Colorado Connecticut, among other states have agreed not to pursue any disciplinary action or investigations into accounting firms looking to participate in the business. Once again, the lack of definitive federal regulations make the future of marijuana accounting jobs unclear, as there are potential breaches that could occur when applying or reapplying for a CPA license. One of the primary issues concerning CPAs is the “good moral character” requirement. While vague, it is possible that an accounting firm’s choice to engage in legal state marijuana business violates this clause since it principally refutes federal drug mandates. What are Marijuana Accounting Jobs? Marijuana CPA’s offer services to cannabusinesses that need guidance. Accounting firms offer everything from bookkeeping services to business consultations and tax preparation for clients looking to run their business without the threat of being closed down or prosecuted. Marijuana accounting jobs are needed by cannabis dispensaries in order to correctly file and report taxes and avoid any potential of a messy audit. What makes marijuana accounting jobs unique from regular accounting positions is the specific software and industry knowledge cannabis accounting firms possess. Accounting firms that choose to specialize in marijuana industry services don’t just select that niche at random. The individuals that work these jobs are passionate about cannabis and extremely knowledgeable on all the federal and state regulations involved with operating a business in the legal marijuana industry. 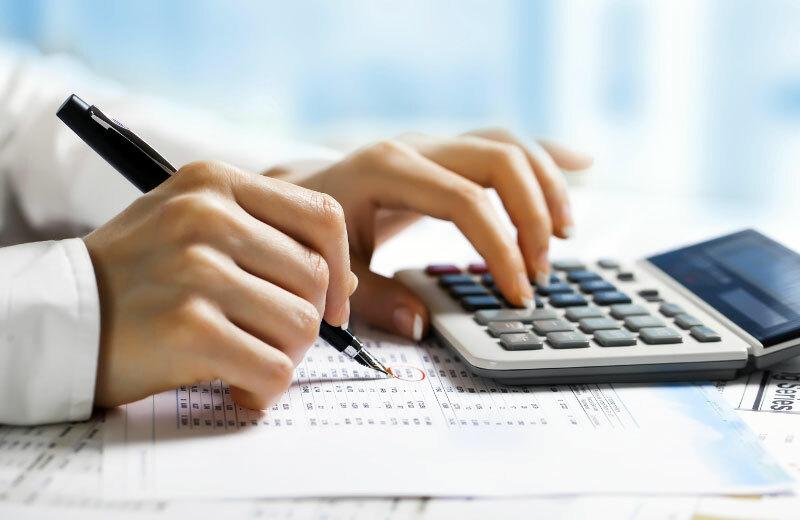 Accounting firms like Arkley Accounting in Washington offer a variety of services and solutions to best prepare businesses for all the possible financial hurdles that could occur during operations. Arkley prides itself on speed and compliance, confidently managing accounts payable and receivable, billing, collections, inventory and payroll. Getting hired for marijuana accounting jobs by a business or accounting firm requires experienced CPAs– those who have obtained college degrees and have passed the CPA test. For individuals who haven’t yet taken their test or need more field experience, there are other great entry points into marijuana accounting jobs and other administrative and financial positions. It’s true that some cannabis dispensaries hire accountants and bookkeepers, but others choose to utilize the skills of their existing staff. Marijuana dispensary managers who are confident in their organizational abilities and can lead their subordinates through successful daily operations, make great candidates for bookkeeping and marijuana accounting jobs. Plenty of established dispensaries feel comfortable keeping financial records from month to month and only require the assistance of accountants when it comes to filing taxes. Along with managers, dispensary receptionists and other administrative staff may be responsible for counting the drawer at the end of the day and recording the data therein. When searching for marijuana accounting jobs, it’s important first and foremost to find locations that allow for legal cannabis sale. Once this information has been established, it becomes clear where most cannabusiness jobs are located. The west coast, along with Colorado, contain the most cannabis dispensaries, grow operations and other businesses in the country. As the industry continues to expand, more locations will embrace marijuana accounting jobs; in the meantime, here are some of the best cities to obtain work in this field. Denver may be one of the first places to look for marijuana accounting jobs, if primarily for the sheer number of opportunities the city offers. Denver recently passed the first ever Social Cannabis Use law in the form of Initiative 300. This ordinance applies to businesses such as cafes, art galleries and record stores to allow for customers to consume cannabis products on premises. The groundbreaking law does come with some conditions: mandatory support from Denver neighborhood merchant organizations and the ineligibility of bars and alcohol-based businesses. Additionally, the initiative only allows for customers to use vaporizers, unless they are outside and still on premises. In this instance, the smoke cannot invade the property of others or be close to schools and playgrounds. All of the developments occurring in Denver make it the perfect city for marijuana accounting jobs and consulting careers. Not all marijuana accounting jobs out there exist in legally established states. California, which has only just voted for recreational legalization, is one of the newest states soon to explode with cannabusinesses. Indeed, Sacramento has made history, allowing for citywide commercial and industrial grow operations to exist under Proposition 64. The proposition passed on the same day as statewide legalization and represents a huge step forward for cannabis cultivators and for marijuana accounting jobs. Grow operations will need accountants to guide them on the bumpy path toward financial success. Sacramento marijuana jobs are going to increase as demand for legal products booms. Like other states before it, California is enacting provisional rules before deciding exactly what regulations will be in place. This process can take up to a year and presents a hiccup to the establishment of new businesses. Every metropolitan area in California will soon be a hotbed for marijuana accounting jobs, in large part due to the high frequency of growing operations and processors. While somewhat of a latecomer to recreational legalization, California has been the central hub for cannabis culture throughout history. The state was the first to allow for the sale of medical marijuana sale and use, establishing a strong foundation on which to grow the industry. Portlandia isn’t the only thing spiking the population of Portland; cannabis has taken over the city in the best of ways, fully integrating marijuana history and culture into its progressive identity. Cannabis dispensaries are omnipresent entities in all four quadrants of Bridgetown and its surrounding counties. Now, it’s just as likely you’ll see a pot shop as frequently as a craft brewery or third wave coffee shop. In January of 2017, Portland officially ended provisional allowances for medical marijuana dispensaries to sell recreational pot. Under official regulations, recreational customers now pay fewer taxes and can buy larger quantities of pot. Additionally, customers can purchase up to 50 mg of packaged edibles. Previously, the maximum number of milligrams allowed per package was 15. Portland is currently experiencing a high volume of development in the way of infrastructure. The city is bringing in droves of tech industry developers and entrepreneurs and the pacific northwest is already somewhat of a hotspot for cannabis web development and app creation. As more and more cannabusinesses are awarded licenses, marijuana accountants will be necessary to navigate the changes in tax reporting and other financial issues. If the current state of marijuana accounting jobs indicates a trend for the future, it appears that the industry is set up for success. Similarly to other established industries partnering with the cannabusiness, the best thing you can do as a job candidate is to keep invested in the movement for comprehensive and fair marijuana reform. Be sure to keep current on your state and municipality’s regulations and history with cannabis. You don’t want to land yourself in hot water, before even getting started! The path to marijuana accounting jobs may not be easy, but the potential to bolster an important industry and the possibility for financial gain are reason enough to take the journey.